Hello there, readers of the Neopian Times. My name is Kawalaii and I will be teaching you about the composition and properties of wraiths. Now what type of crazy Neopet would be an expert on wraiths? Saying that wraiths are dangerous would be an understatement. Well, simple. I'm part wraith. Before I continue, just a quick note to the editor of the Neopian Times and to any scared readers who would want to come after me with torches and pitchforks, I am not dangerous. I am not a wraith, I do not work for The Darkest Faerie, and I am not going to hurt anyone. The reason why I am writing this article to help readers understand the inner workings of wraiths and what it's like to be part wraith. Now that that's out of the way, let's get started. The first thing I should mention is that there is a difference between wraiths, Neopets who are painted to look like wraiths, and wraith Neopets. At first, it's easy to lump them together and assume they're one and the same. This is far from the truth. Neopets who are painted to look like wraiths are, well, just that. They're Neopets who are painted to look like wraiths. Ever since wraiths were discovered, the look became very popular among Neopians. Naia helped create a Wraith Paint Brush and since then, the look has been fairly common. Before you nab yourself a Wraith Paint Brush, though, know that the only thing it does is give you the wraith look. If you're lucky, and I mean extremely lucky, you might get some wraith traits. Even if you do get a wraith trait, it will not be anything powerful or flashy. Wraiths are not Neopets at all. They are a different species. The best way I've heard it explained is that wraiths are the Faeries' counterpart. Wraiths are extremely powerful, are almost immortal, and have different types. However, instead of helping the Neopets of Neopia, some wraiths hurt them. Wraiths can harm Neopets in a number of different ways, from stealing their emotions to simply attacking them. Finally, there are wraith Neopets. That is what I am. There is no set amount of wraith a Neopet needs to be to be considered a wraith Neopet. For example, I am about 40% wraith. My friend, Druhid, is about 25% wraith. However, neither of us have seen a wraith Neopet that is more than 80% wraith. Wraith Neopets can have all the properties of wraiths, but not to the extent of pure wraiths. The extent of wraith properties is directly correlated to the amount of wraith in a Neopet's body. The more wraith you are, the more wraith traits you have, the more you act like a pure wraith. Now that I talked about the difference between wraiths and wraith Neopets, I'm sure you're wondering about how Neopets turn part wraith. As far as I know, the only way for Neopets to become part wraith is to be cursed by either a wraith or a faerie. Not all wraiths can curse Neopets to be part wraith and the same is true for all faeries. The wraiths and faeries have to be extremely powerful for the curse to actually work. I'm sure you know what The Darkest Faerie did to Neopets not too long ago, but in case you need a refresher, The Darkest Faerie cursed Neopets to become part wraith and attack the Faerie Festival. Are there ways to reverse the curse? The short answer is yes and no. As of right now, there are ways to reverse the curse if the Neopet was cursed by a faerie, but not if the Neopet was cursed by a wraith. The faeries are working on a ways to remove the wraith caused by other wraiths. However, it isn't likely that they'll find anything that can work. That is why Druhid and I are still part wraith because we were cursed by another wraith. I can't tell you what it's like to become part wraith. I became part wraith when I was two, which was ten years ago, so I don't remember much. I don't remember feeling any pain, though. I think I just woke up and I was part wraith. Something could have happened beforehand, I don't know. I don't recommend Neopets going after wraiths or faeries to become part wraith. Trust me, it will be a lot more trouble than it's worth. Contrary to popular belief, the majority of wraiths are not hostile. There are plenty of passive wraiths that roam around Neopia. Almost nobody sees the passive wraiths because they hide from Neopian society. Passive wraiths are more afraid of Neopians than Neopians are afraid of wraiths. The hostile wraiths, though... The hostile wraiths and very, very dangerous. If you see a wraith out in the open, there is a good chance it is hostile. When you see a hostile wraith, no matter what, do not let it know you are there. Hide somewhere and do your best to keep calm. Some wraiths can sense extreme emotions like fear. Not all wraiths can sense emotions, but it is near impossible to tell if it can. When in doubt, play it safe. If a wraith notices you, it will attack. What it will do will depend on the wraith. If the wraith can sense emotions, it will steal your emotions, leaving you an empty husk for about a week. If it cannot, it will simply maul you. If you are unfortunate enough to be noticed by a wraith, run or fly away as fast as you possibly can. Do not attack the wraith. You will only injure yourself and make it even more aggressive. Like faeries, there are different types of wraiths. However, unlike faeries, it is not always clear to tell which ones are which. To someone not familiar with the different kinds of wraiths, it's impossible to tell what wraith you encountered. First, there is the type of wraith that feeds off of vegetation. They do this by sapping the life out of various plants. These wraiths are often passive, since this doesn't require interaction with Neopets, and are the majority of wraiths. Because they are passive, it is very hard to find one of these wraiths. While you might not see the wraith itself, you may see traces of its presence. Look for dead patches of grass or branches on trees. If they appear to be dead for no reason, there is a good chance that a wraith had fed off of that vegetation. Next up is the wraith that feeds off of emotions. These wraiths sense emotion in nearby beings and steal them to feed off of. These wraiths often target Petpets out of convenience, but will jump at the chance to steal a Neopet's emotion. Naturally, this makes these wraiths hostile. Emotion stealing wraiths often hunt Petpets and Neopets during the night. Because Neopets and Petpets can be hard to find sometimes (and the clear reaction when spotting a wraith to run away), it doesn't feed every day. The exact amount of time it can last without feeding is unclear, but evidence shows that a wraith can last around one month on a Neopet's emotions. Finally, there is the type of wraith that doesn't need to feed off of anything. This is the type of wraiths you need to fear. Because this type of wraith doesn't depend on any other living thing, it will not hesitate to attack or kill you if it spots you. It wouldn't be losing a meal if you don't make it out of the fight. The amount of power and strength a wraith has varies from wraith to wraith. In general, non-feeding wraiths are strongest since they can last on their own, without having to eat anything. Just because a wraith is not feeding doesn't mean it's strong, though. A vegetation feeding wraith can be incredibly strong while a non-feeding wraith can be fairly weak. Neopets may take on these traits when they become part wraith. These Neopets my sap life out of plants, steal emotions from Neopets, or not eat for stretches of time. What trait they take on depends on the type of wraith that cursed them or on what spell a faerie used. 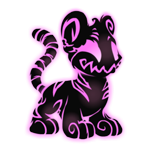 A wraith Neopet will still need to eat regular food, as it is not entirely wraith and cannot last on wraith-feeding methods. These wraith-feeding methods are not as strong in wraith Neopets than in regular wraiths. A Neopet that saps life out of plants can only feed off of small plants like grass or small flowers. An emotion stealing wraith Neopet can only take extreme emotions out of other Petpets and Neopets, leaving them in a dreamy state for a few hours. Non-feeding wraith Neopets can only go without food for a day or two before they feel hungry. The main difference between wraiths and Neopets is that Neopets have blood and wraiths do not. If a creature looks like a wraith and has blood, it is a Neopet to some degree. Wraith Neopets have both ectoplasm and blood in their bodies while pure wraiths only have wraith ectoplasm. Wraith ectoplasm is incredibly potent. How strong wraith ectoplasm is depends on what it came from. Ectoplasm that came from a pure wraith is more potent than a Neopet that is 80% wraith. Ectoplasm from a Neopet that is 80% wraith is stronger than that from a Neopet that is 50% wraith. You get the idea. One has to be extremely careful working with ectoplasm from a pure wraith. Pure wraith ectoplasm highly alkaline and can cause chemical burns if it makes contact with skin. The closest chemical I can compare it to is pure bleach. You wouldn't want to handle pure bleach without some caution and same should go for wraith ectoplasm. Neopets that are part wraith also have blood with different properties. This isn't as extreme as you might think. Blood is normally neutral, meaning it is neither acidic or alkaline. Wraith Neopets have more alkaline blood. Wraith blood and wraith ectoplasm are often equally alkaline, so the Neopet's body isn't harmed. What is the point of wraith ectoplasm? Wraiths do not have a circulatory system and wraith Neopets still have blood. The answer is that ectoplasm is for self-defense. As I've said, wraith ectoplasm can be highly alkaline and cause burns if it gets on skin. Any attackers who are splashed with wraith ectoplasm usually stop what they are doing because of the pain. This gives the wraith a chance to strike. *It's worth mentioning that some Neopets that are painted wraith get more alkaline blood if they get wraith traits. There has only been one or two cases where a Neopet also gets wraith ectoplasm. 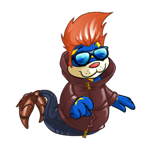 This is the only trait Neopets who are painted wraith can get. This is a vague term, but it's the only one I have at the moment. "Wraith forms" means how the wraith is set. Think of it like this: You have a form right now. You can't change how you look without using something like a morphing potion or the lab ray. That is because you have a set form. Wraiths do not have a set form they can go to. While some have preferred forms, many do not have a defined shape. They can morph and change shape as they wish. Wraiths can even split into multiple parts with no ill effect. This can be done for a number of reasons. Attacking, defense, hiding, etc. Sometimes, it can be hard for a wraith to keep its shape. Wraiths are not exactly solid; they can take on properties of a liquid. It's not clear why this trait came about. It could be for hiding better or for trapping Neopets. Wraith Neopets have a set form. This is what the Neopet looks like without morphing. How much they can morph depends on how much wraith they are. The more wraith a Neopet is, the more they can morph. Druhid, my friend I mentioned earlier, can only change small parts of his body at a time. He often does this to make his fingers and tail sharp in a pinch. Since I am more wraith than Druhid, I can change my entire body. I still can't split into multiple pieces or change my form completely (I just turn into a puddle). Wraiths are hard to study. Because of how dangerous some wraiths can be, it can be dangerous encountering one. Wraith attacks can happen anywhere, not just near Faerieland or the Haunted Woods. Plenty of Neopets cross paths with a wraith and don't live to tell tales about it. These attacks can often be avoided if Neopets knew what to do when they encounter one. Wraith Neopets are often lumped with their pure wraith counterparts. They are accused of causing harm when a large portion of them are harmless. I am lucky that I live with relatively little conflict between other Neopets, but there are lots of others who are exiled for something they have no control of. This is why I wrote this article. I want to spread the word about the misconceptions of wraiths and wraith Neopets. Not all wraiths are hostile and those that are are almost always following their instincts. It usually isn't something wraiths consciously do. They're just trying to live, just like you and me. And with that, I hope you have all learned something about dealing with wraiths and wraith Neopets alike and see that they are not as harmful as they may appear.